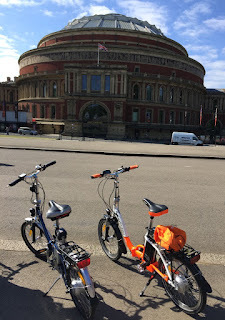 Bright and early yesterday morning we had two folding electric bikes packed in the boot of the car and were off to London. Parking was pre booked outside the congestion zone and we would cycle the rest of the way. 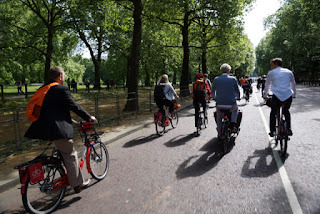 It was a chilly and busy morning on the roads of the Capital and even on the outskirts we could see big numbers of people riding bikes for their daily commute. Most of them appeared to be wearing cycling clothes. The Batribike Dash Pro and Breeze were ideal for nipping through the traffic on the way down to the Embassy of the Kingdom of the Netherlands. 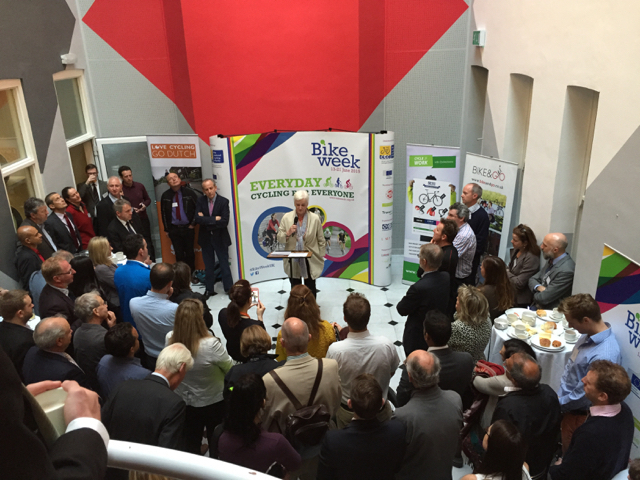 The embassy was kindly hosting breakfast and the launch of Bike Week. Speeches began at 8.30 am. The Ambassador, Ms Laetitia van den Assum talked about Dutch cycling and how we could learn from the Dutch attitude to cycling she mentioned that they wear “normal” clothes for riding their bikes. 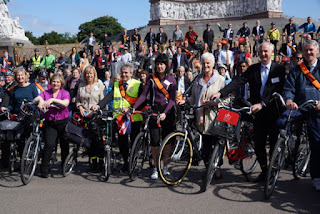 Other speakers included Philip Darnton of the Bicycle Association, Ian Austin MP, former Co-Chair of the All Party Parliamentary Cycling Group (APPCG) and Robert Goodwill MP, Parliamentary Under Secretary of State at the Department for Transport. Mr Goodwill said that the Prime Minister was committed to continuing the cycling revolution with increased spending per head and that the aim was to increase the number of journeys by bike that would be made wearing “destination clothing”. 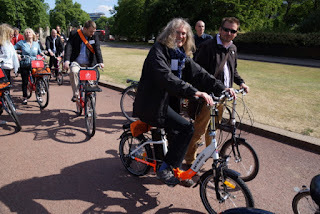 At Batribike we believe that this is an area where electric bikes will really play an important role. Electric motor assistance makes it a lot easier for riders to wear their everyday clothes. After the speeches everyone gathered outside the embassy for photos. 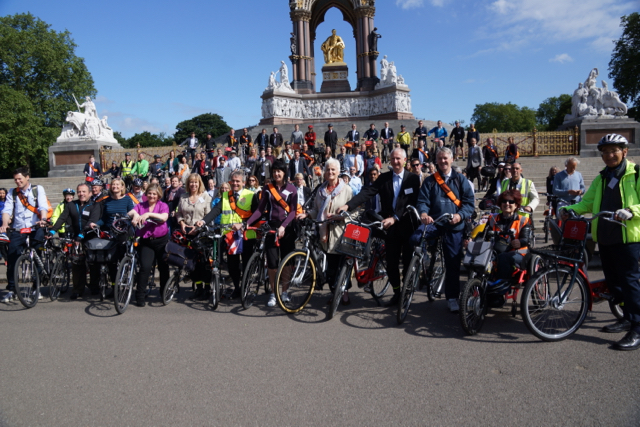 We then crossed the road to Hyde Park and gathered again for pictures in front of the Albert Memorial. 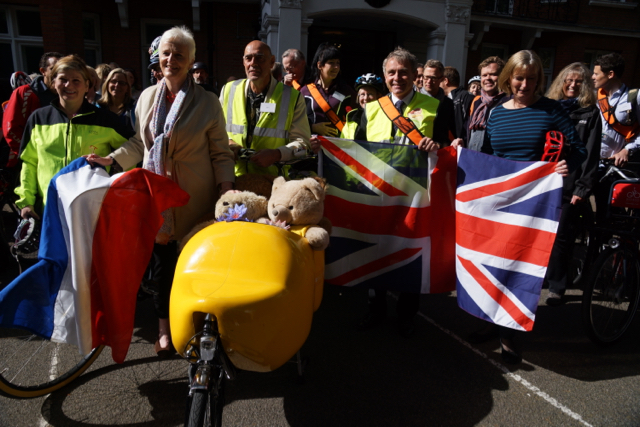 The ride was led and marshalled by the Met Police. The sun had come out and the crowd of riders set off in good spirits, through Hyde Park, down Constitution Hill, round past Buckingham Palace, Down Birdcage Walk past the Barracks and on to Westminster. 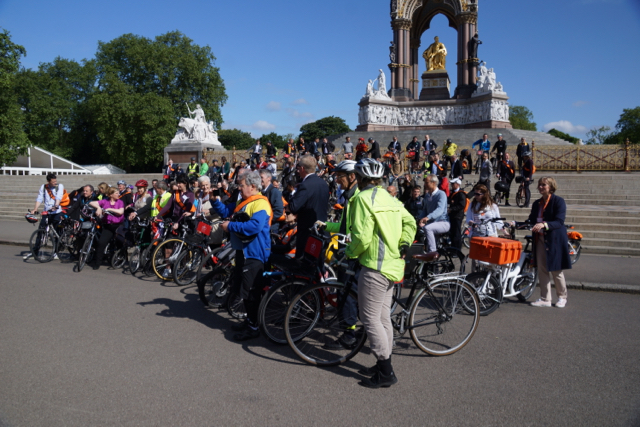 It was a lovely ride in iconic surroundings; the slower pace meant that there was plenty of time to talk to other riders. What a glorious assortment of bikes were represented from standard and hire bikes to folders of many sorts, electric and human powered, cargo bikes, a recumbent and many more. We finished on College Green opposite the House of Lords entrance, with more time to chat and to share in everyone’s passion for all things bicycle. 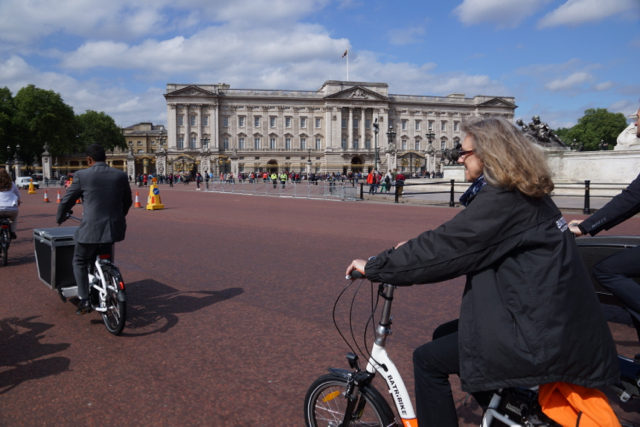 All we had to do now was to cycle back past all the great sights, which was definitely no hardship! 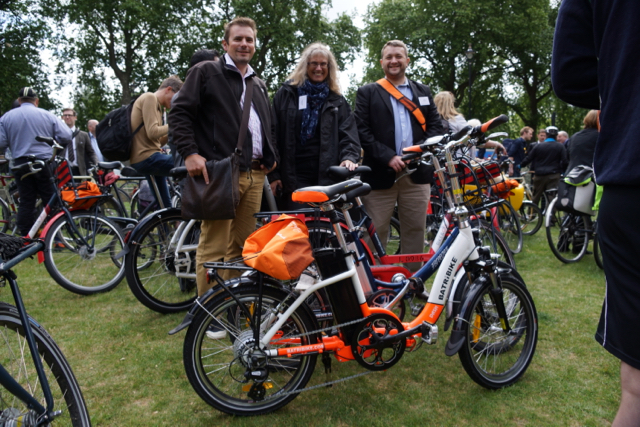 We were delighted to be representing the electric bike industry at this prestigious event and we had great morning out on the bikes.